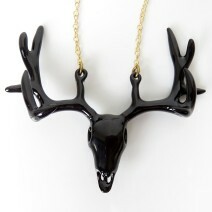 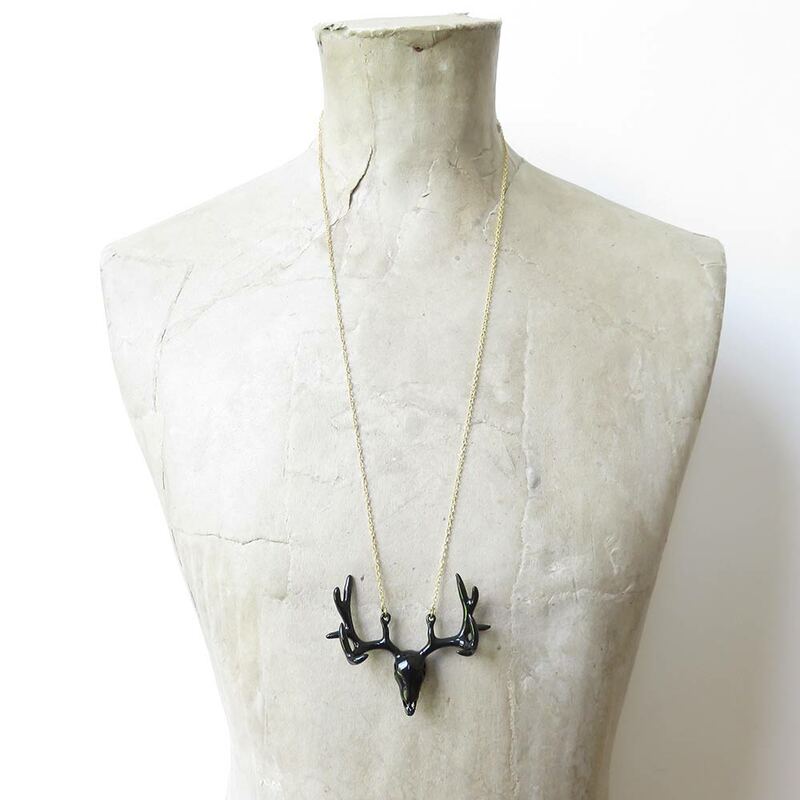 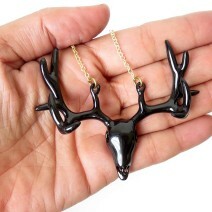 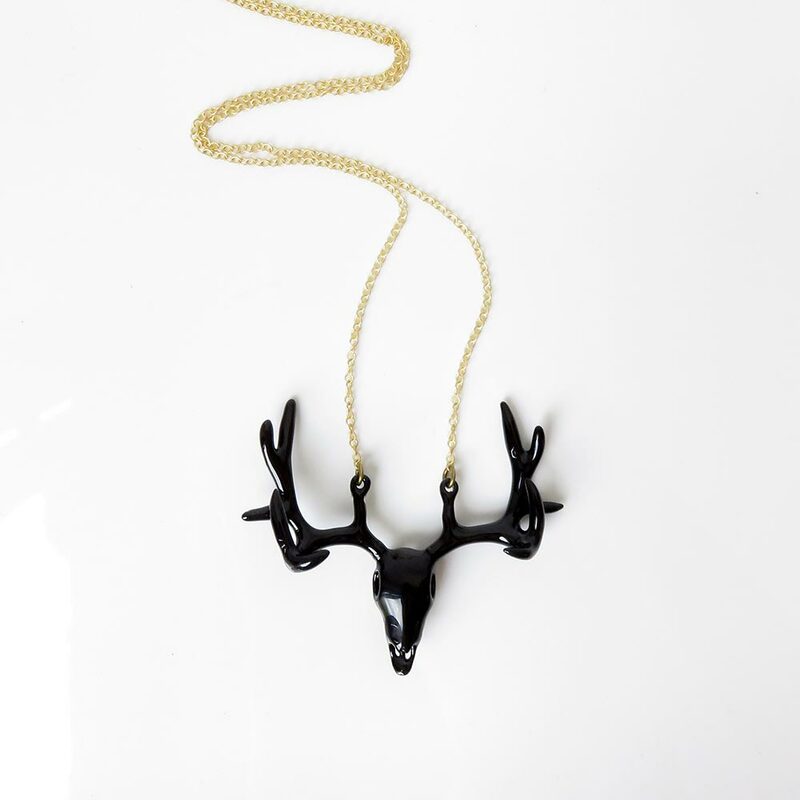 A black enamel Stag antler necklace. Make a statement with this beautiful animal themed jewellery. Hangs from a long loop brass chain and secure clasp.